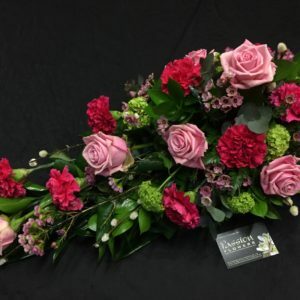 This is a stunning design in large headed roses and vibrant greenery, an absolute and ageless classic. 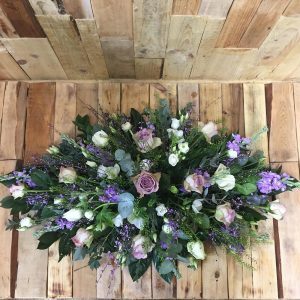 This design measures approx 4ft. 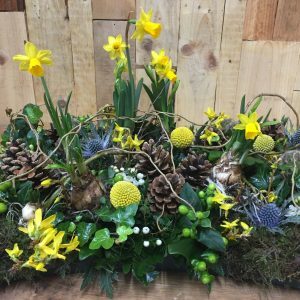 A natural, woodland themed design with country style flowers incorporating ivy, moss and willow. 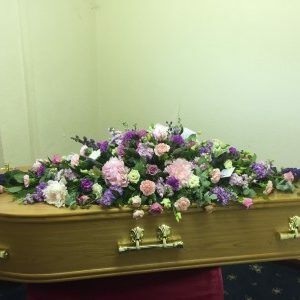 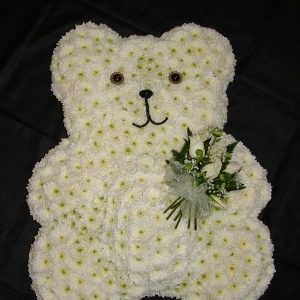 A naturally relaxed tribute made using a choice of seasonal flowers and foliage. 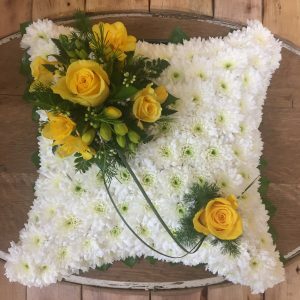 A cushion-shaped design created with a base of white chrysanthemums and finished with a spray in colours of your choice. 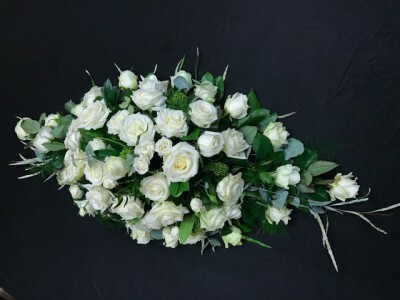 This classic tribute is available in a choice of beautiful large-headed roses with complimenting foliage. 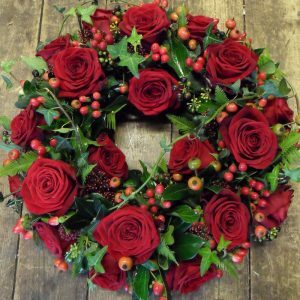 This stunning wreath is made of beautiful Red Naomi roses, country style berries and foliage. 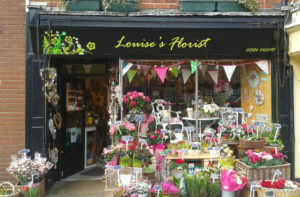 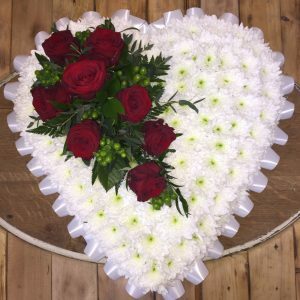 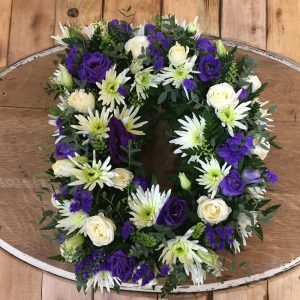 Made using fresh flowers and foliage in your choice of colours For other named tribute please call the shop. 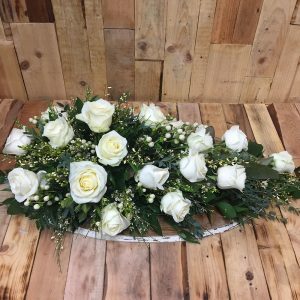 Based in white Chrysanthemums with a choice of ribbon and top spray. 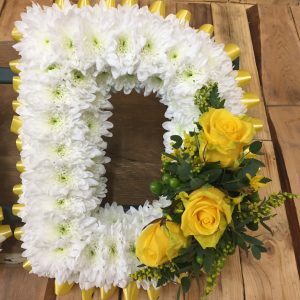 For other named tribute please call the shop. 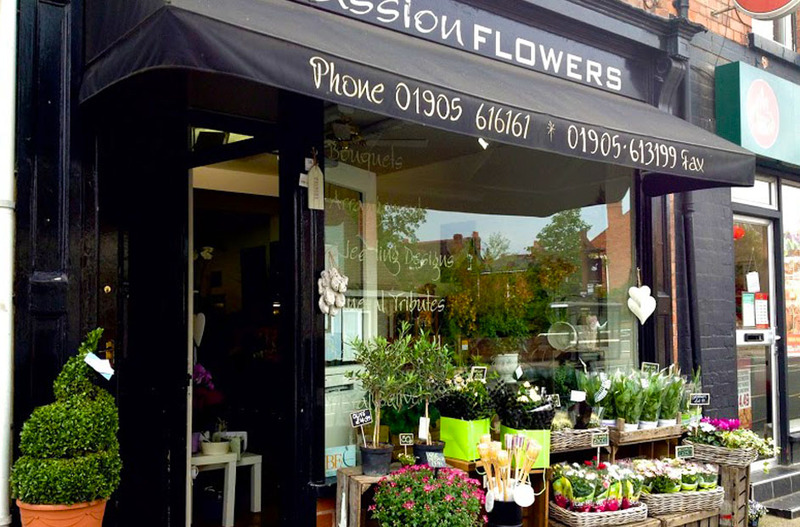 Copyright © 2018 Passion Flowers. 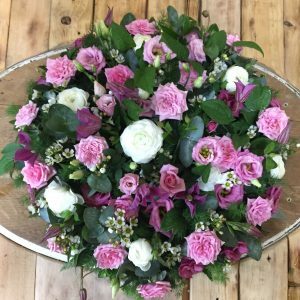 Website by Ventutec.